If the Portuguese felt safest on hilltops, the Dutch preferred islands. 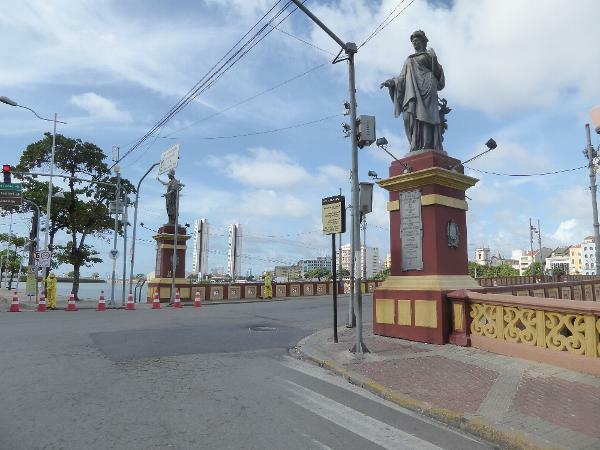 When they took over the coast of Brazil around Recife they built a new town for themselves on the tiny island of Antonio Vaz, easily bridged from the mainland yet set off enough to keep outsiders at bay. When the Portuguese regained control, they demolished the 2,000 buildings built by the busy-bee Dutch, then rebuilt the island to their liking. 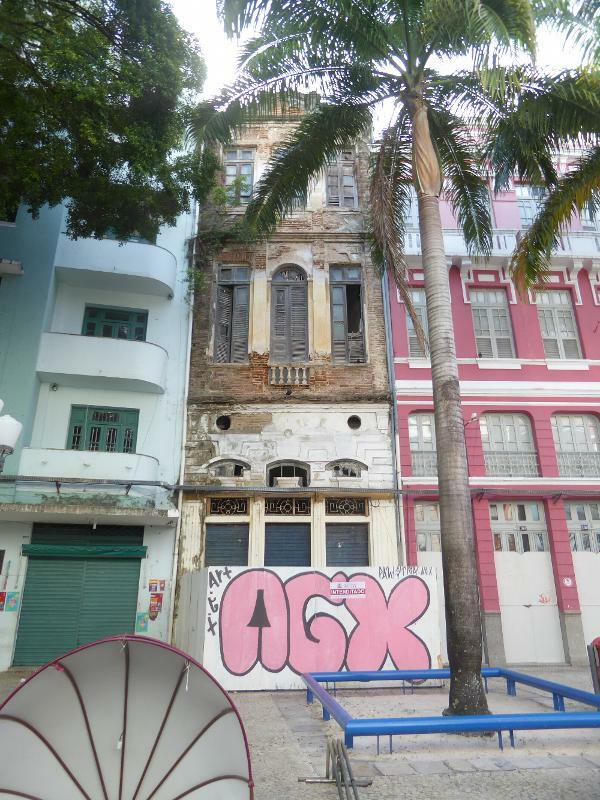 An adjoining island, still closer to the sea, and now confusingly called Recife Antigo, became a center for the city's booming international trade. 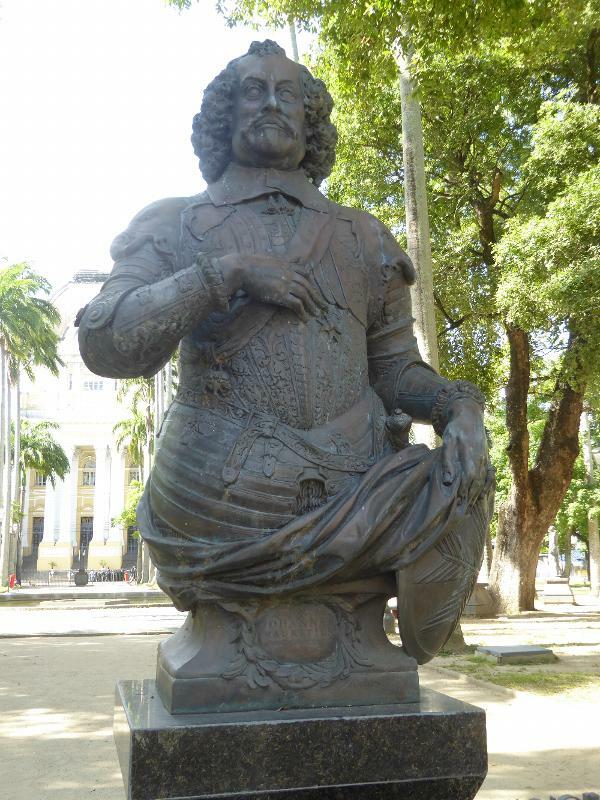 You wouldn't expect a monument to Johannes Mauritius, Count Maurits of Nassau-Siegan, the Dutch governor of Pernambuco from 1637 to 1644, but you'd be wrong. 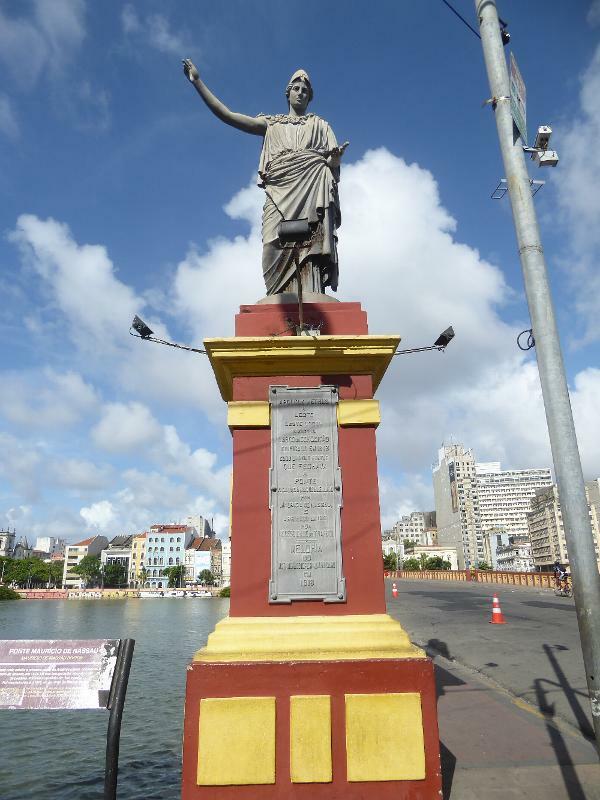 He sits in a block-square park formerly the site of his Palace of Vrijburg and now called the Praça de República. Is it a small act of revenge that Maurits has been chopped in half? 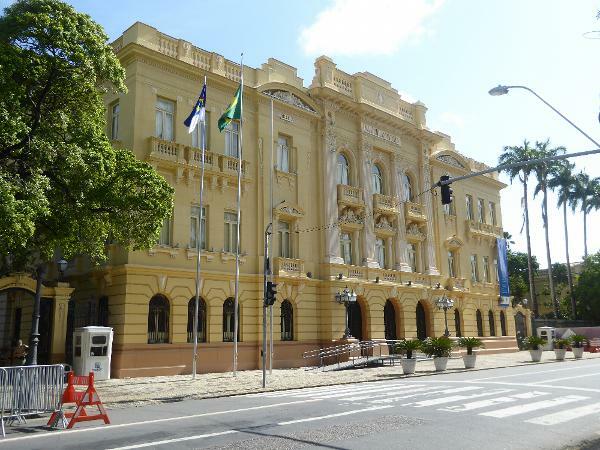 Facing the park is the official home of the governor of the state of Pernambuco. 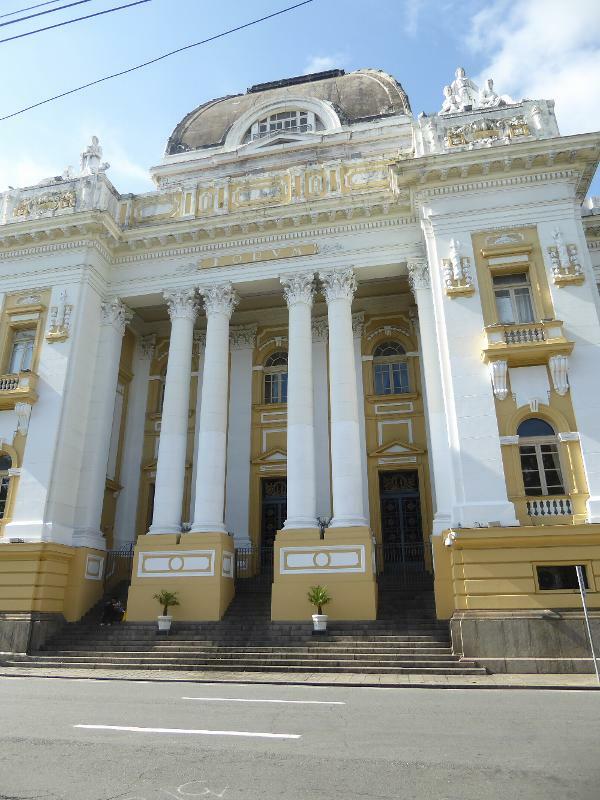 It's an 1841 redo of Maurit's palace and is called the Palácio do Campo das Princesas because it was briefly occupied by the daughters of Dom Pedro II, emperor of Brazil. Yes, he was here, too. How did the family keep busy? 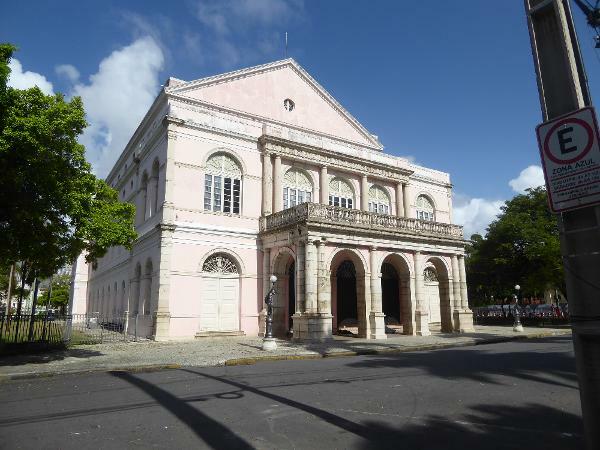 Next door to the palace is the Teatro Santa Isabel, begun in 1841 under the direction of a French engineer, Louis Leger Vauthier. Brazil had moved on from its colonial past and celebrated this achievement by taking two giant steps backwards toward classical formalism. See anything French? How about the roof, straight out of the Second Empire? The building looks onto the park and the statue of Maurits. 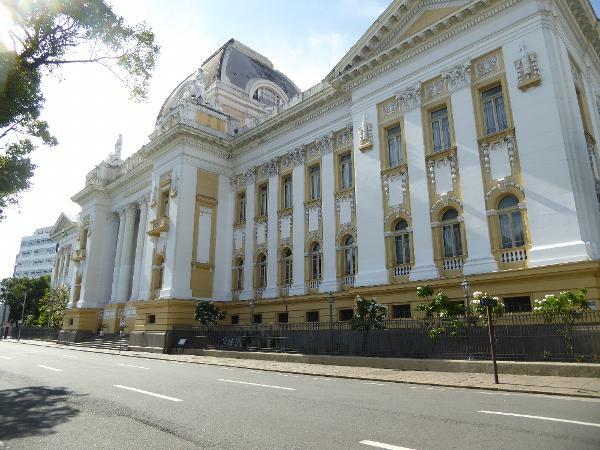 Brazil was such a pioneer in the development of modern architecture that it's a shock to learn that this building, the Palacio da Justica by Giacomo Palumbo, was completed in 1930. 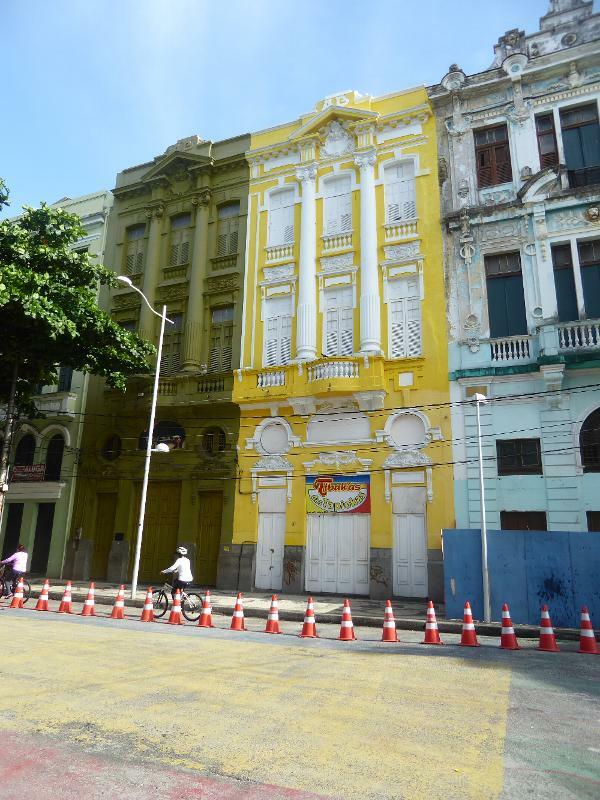 The Portuguese were slow learners: it took them over a century after they took Recife back from the Dutch to realize that everything true and good is French. 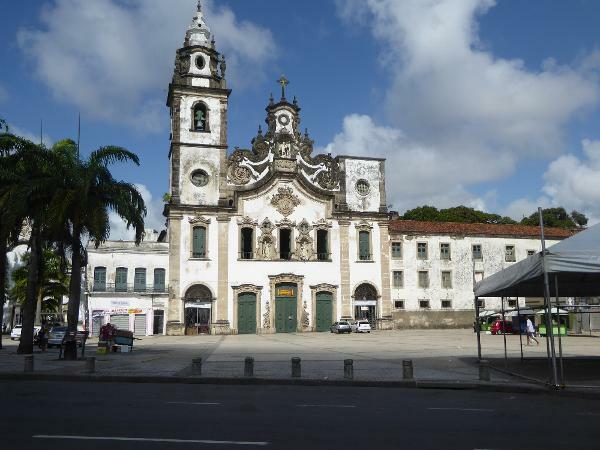 Here, instead, is their rococo Basilica of Our Lady of Carmel. 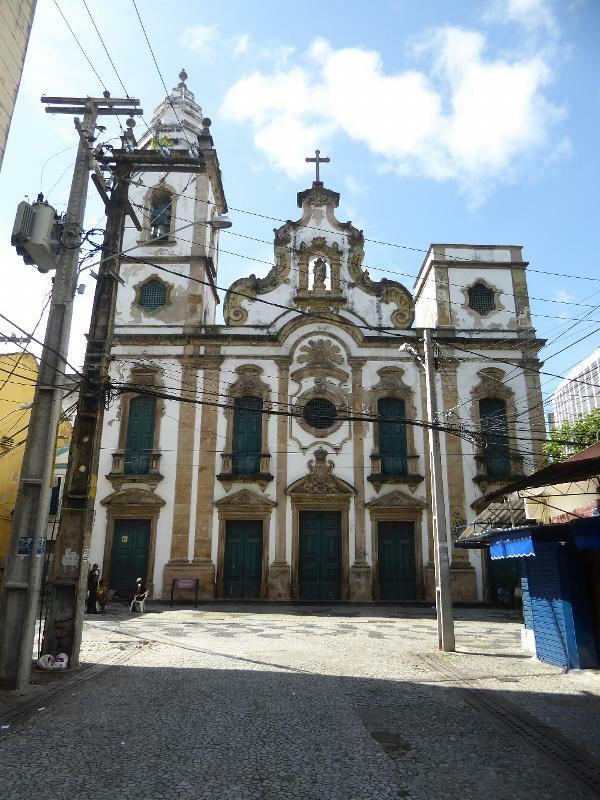 The Carmelite friars had been around since 1580, but this church was not begun until 1665. Completing it took a century, and the right tower never did get done. 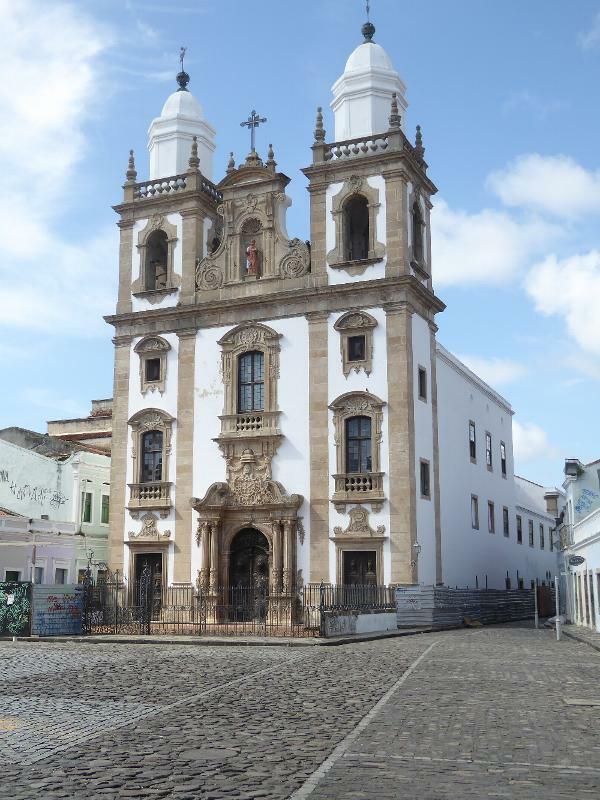 The church sits on the site (and may include parts of) the Boa Vista palace, a secondary palace built by Maurits. 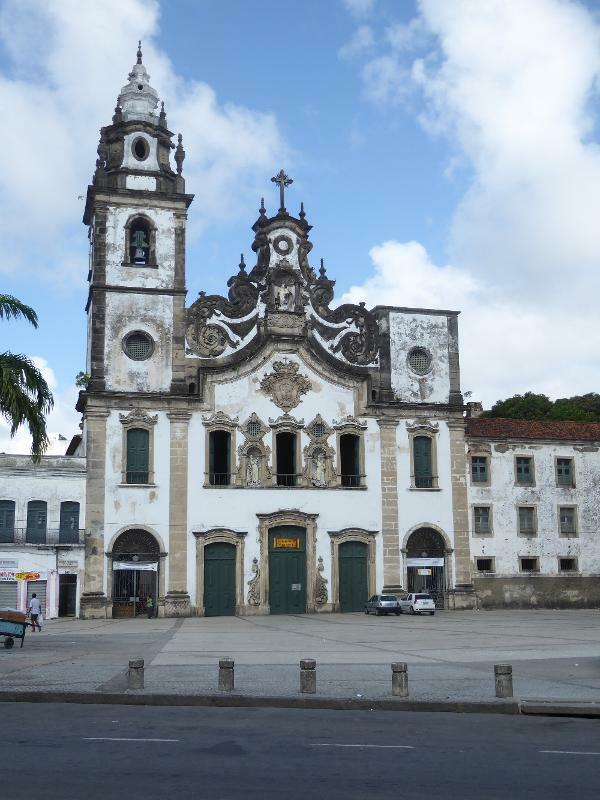 While the Portuguese elite usually belonged to the third Franciscan order, black slaves had their own brotherhood, which built its own churches. Here's one, the church of Our Lady of the Rosary of Black Men, rebuilt in 1777. Here's a 1729 church by yet another brotherhood, this time one comprised of clergy; it's the church of Saint Peter the Cleric. The Maurice of Nassau Bridge separates Antonio Vaz island from the still smaller island behind the camera. 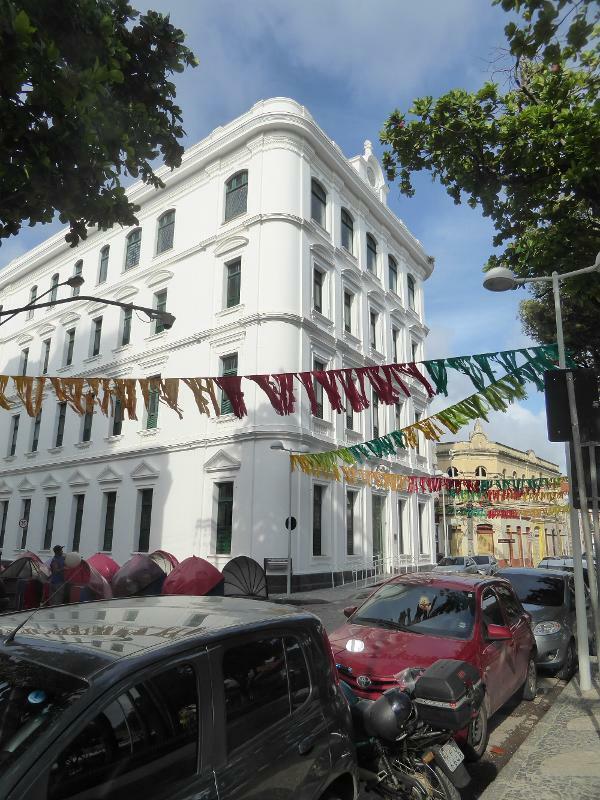 Now called Recife Antigo, old Dutch maps simply call this tiny island Reciffo. The two were connected by a wooden bridge as early as 1643. The bridges were renovated repeatedly and finally replaced with an iron bridge that promptly rusted. 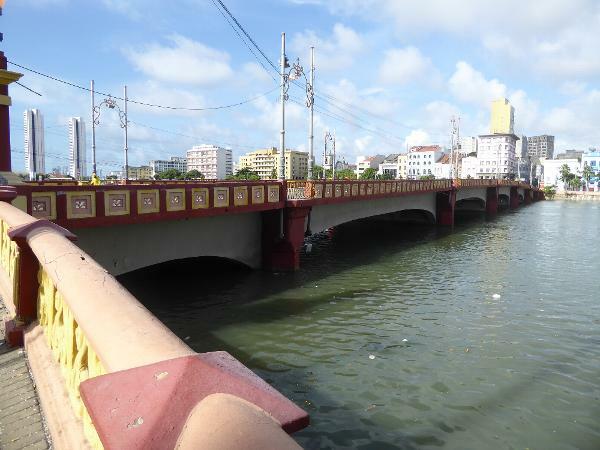 This concrete bridge was built in 1917 and is one of four between the two islands. The people who built did not question the superiority of European culture. Pallas has been copied straight from the Louvre. The statues, made of bronze, were apparently located elsewhere before they were put here. 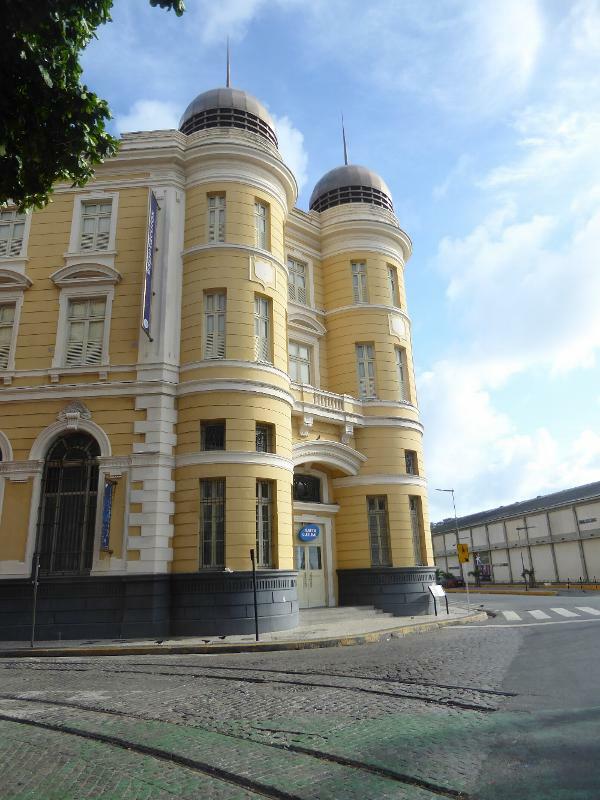 We're now in the heart of the business district of Recife Antigo. 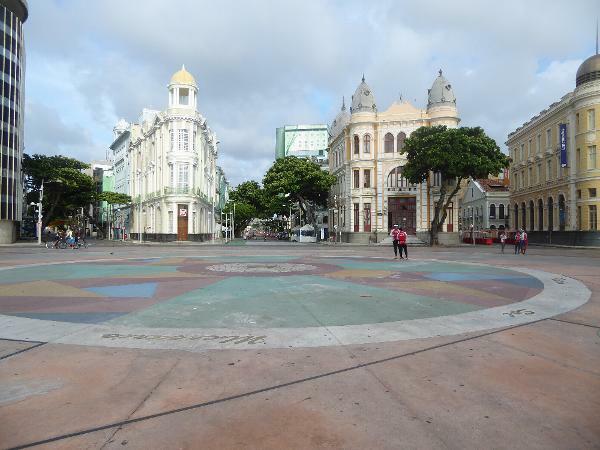 The paving star is Marco Zero, installed in 1938 to mark the point from which road distances are measured in Pernambuco. The radiating streets were laid out about 1900 and forced the demolition of 480 buildings, which helps date most of what's before our eyes. What should this have been? 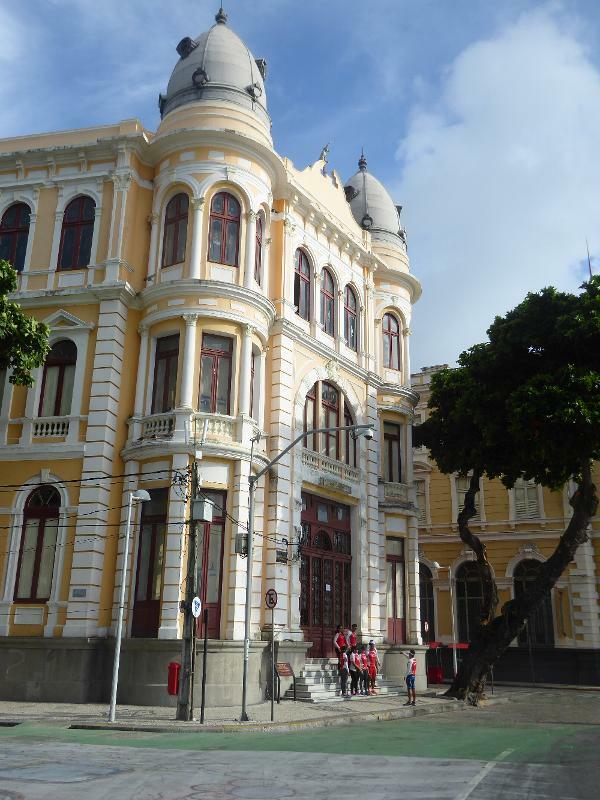 Why, a bank of course, specifically the Bank of Pernambuco, known as Bandepe. 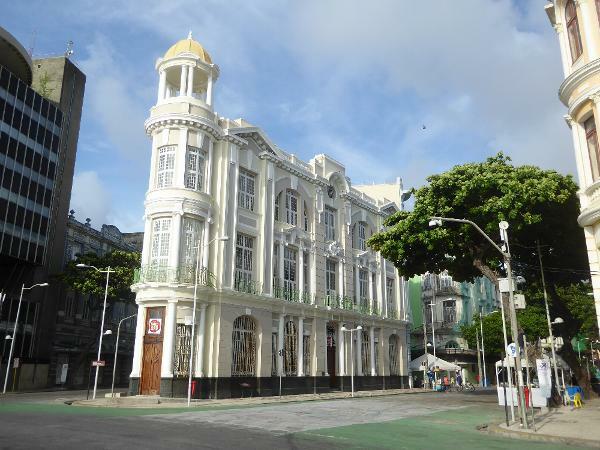 The Pernambuco Trade Association Building. Rear view of the same. 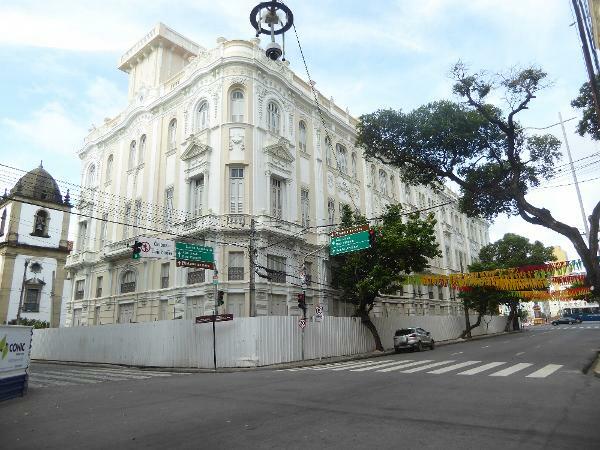 Here's the office of the Bank of London and South America (BOLSA). 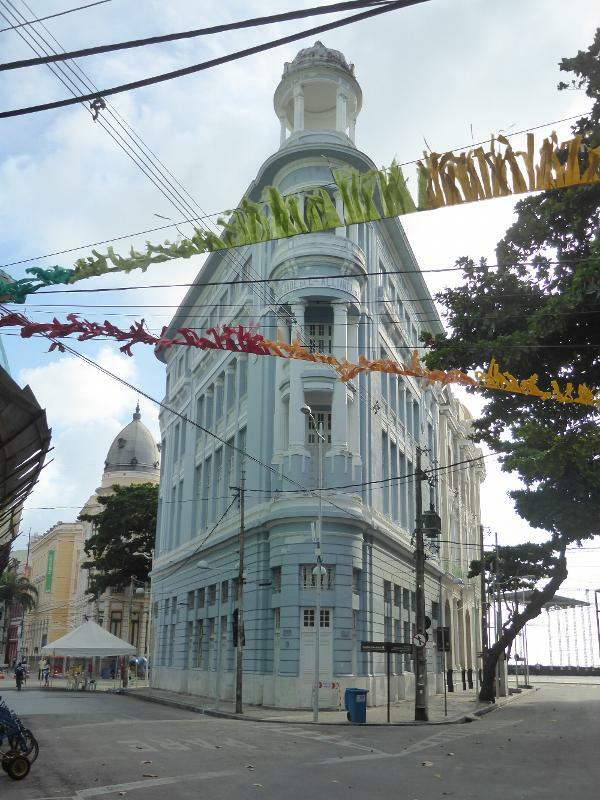 The building later housed the Pernambuco and Paraiba Stock Exchange. Set back a block, here's a mystery for a minute. Kind of a giveaway, don't you think? 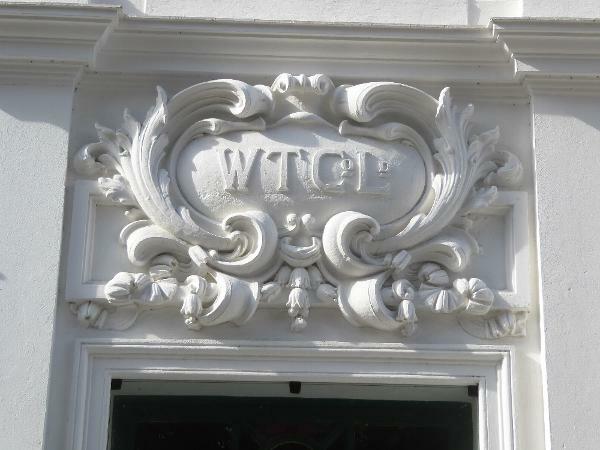 From 1908 to 1973 this was the British-owned Western Telegraph Company (WTC). Earlier, it was the Brazilian Submarine Telegraph Company. Must have handled a lot of telegrams about sugar and ships. Here's the Chanticler Building, though as the fence hints there's work going on. In fact, there's nothing behind the facade except a void. 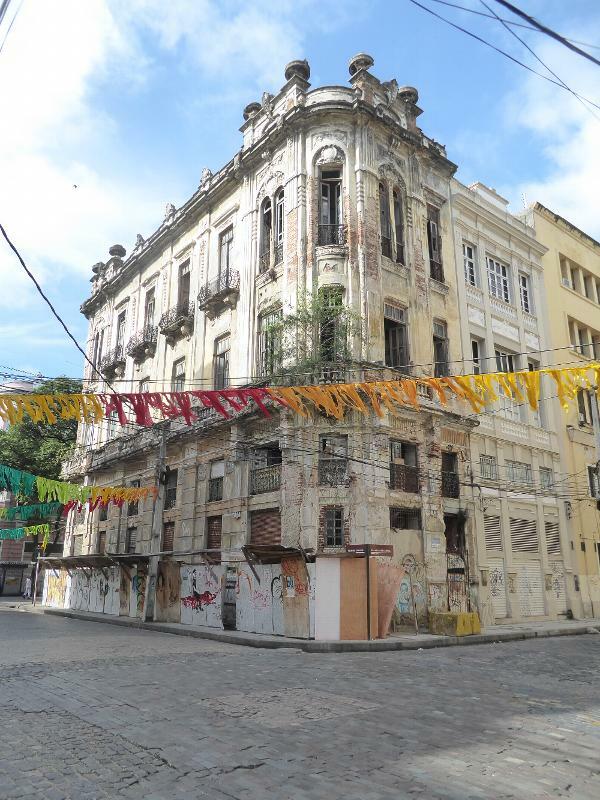 There's plenty for a preservationist to worry about. 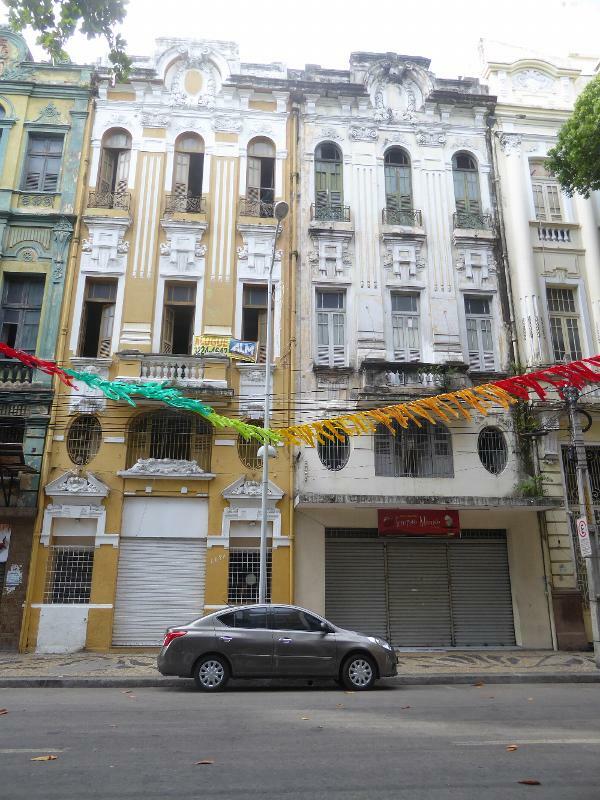 Townhouses or sobrados could be adapted either to residential or commercial use. These ones look as though they were intended for business from day one. Little brother says, "Hey, I can't breathe!" 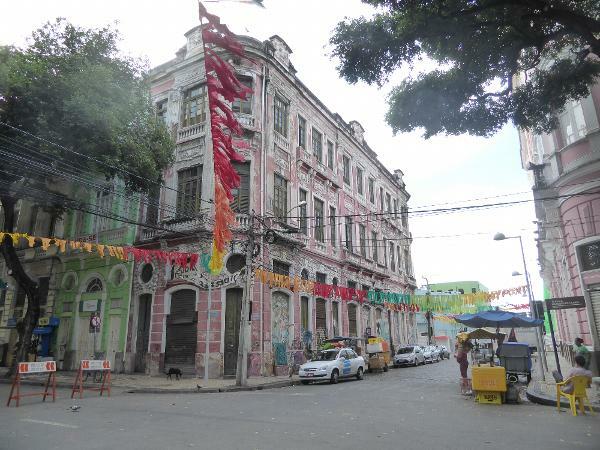 Gomes writes that "the sobrados of Recife are tall and narrow, due to the lack of terra firma at the estuary of the Capabaribe River... [they are] much narrower than those of sobrados in Bahia...." See Roberto Montezuma, Arquitetura brasil 500 anos, 2002, p. 135. 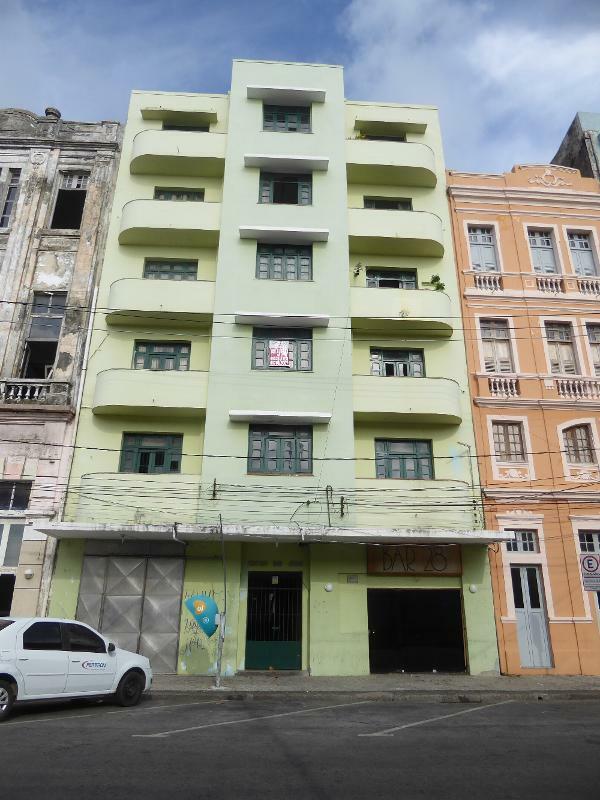 Here's a late-model residential sobrado. 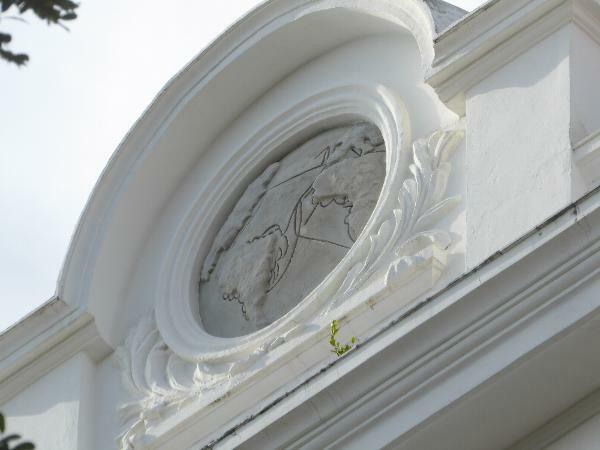 There aren't many like it, although oddly enough you can find similar apartments fronting the Bombay Gymkhana grounds. Styles get around fast.